Home > Science > How do Antioxidants Work? 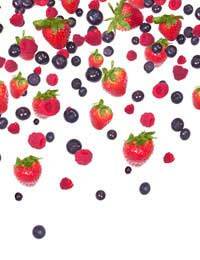 We’ve all heard about antioxidants and the important role they play in maintaining health. They are also believed to be one of the most powerful weapons in the fight against ageing and probably one of the most effective anti ageing treatments. Not surprisingly, many people are now eating foods rich in antioxidants or even taking antioxidant supplements in their attempts to prevent ageing. All the cells in your body are under constant attack from ‘free radicals’ – highly unstable molecules where the atom has lost one of its pair of electrons. Thus, these free radicals are constantly looking to steal another electron back from other molecules to replace the one that it has lost – and in doing so, it reacts with and damages the other molecules. Continual attack by free radicals leads to widespread damage at the cellular level and ultimately to organ and tissue damage, which is believed to contribute to ageing. These free radicals can come from the environment around you, such as pollution and radiation, as well as from external sources that you ingest into your body, such as chemicals and toxins, cigarette smoke, drugs and alcohol. Unfortunately, a certain amount of free radicals is also released as by-products during the cell’s normal metabolic activity, which means that it is impossible to completely avoid exposure to free radicals. However, your body does have a powerful mechanism for fighting free radicals and that is the antioxidant defence system. This comprises special enzymes which are able to neutralise the free radicals and render them harmless. To do this, however, these enzymes require help from substances known as ‘antioxidants’, which can be found in a variety of natural foods. Some of the best known antioxidants are include vitamins C, E, beta carotene, bioflavonoids, zinc, selenium and alpha lipoic acid. Vitamin C helps the body resist most bacterial and viral infections and even offers protection against carcinogens like tobacco. It also helps wounds to heal and reduces the impact of allergens, as well as playing a vital role in the production of collagen and elastin, two key factors for young-looking skin. Vitamin E, one of the few fat-soluble antioxidants, plays an important role in protecting cells from oxidation and therefore helping you retain a more youthful appearance overall. It is also known to lower blood pressure, reduce the risk of developing heart disease and help with alleviating fatigue. Alpha Lipoic Acid is another important antioxidant because it is both water- and fat- soluble, so it is able to travel to cells throughout the body and protect all types. It plays significant roles in enhancing the nervous system and normal liver function, as well as sustaining normal blood sugar levels. Probably the most powerful antioxidant is oligomeric proanthocyanidin (OPC), a bioflavonoid found in some plants, which is shown by medical studies to be is 50 times more effective than vitamin E and 20 times more effective than vitamin C in protecting the body from free radicals. OPC helps prevent cardiovascular disease by reducing inflammation and helping the arteries resist attack from mutagens, leading to a decreased risk of atherosclerosis (hardening of the arteries), heart attack and stroke. OPC also inhibits histamine production and so reduces inflammation, thereby helping to alleviate allergy symptoms and joint inflammation. Since OPC protects Vitamin C, itself an antioxidant that is crucial in the synthesis of new collagen and elastin, it is a very effective anti-ageing treatment for skin. OPC occurs naturally and the best source of it is grape seed extract, although it is now easily available in supplement form and this has been widely used in Europe and around world since the 1950’s. However, in general, it is best to eat as wide a range of antioxidant-rich foods as possible, as different types of antioxidants protect against different types of damage. Generally, a diet high in fresh fruits and vegetables will give you all the nutrients you need. Some experts believe, however, that it is impossible to gain all the nutrients you need from food sources alone, due to poor agricultural practises, depleted soil, pesticides and preservatives, etc – therefore it can be beneficial to take antioxidant supplements to ensure that you taking the best anti-ageing prevention.